David Vella Plumbing and Heating Services - Central Heating Engineer, Plumber based in Southport, Merseyside. 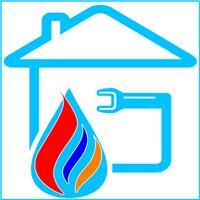 David Vella Plumbing and Heating has a professional team, qualified to a high standard and efficient. We have a growing customer base located throughout Southport area, including local estate agents, private customers and many landlords. We are gas safe registered and fully qualified and insured. All plumbing repairs and heating installations undertaken: gas boiler repairs, servicing, installations, Landlord gas certificates, homebuyer reports, burst pipes, tap replacements, cylinder changes, etc. throughout Southport area. We have very competitive hourly rates. We have excellent prices on boiler swops and combination boiler conversions with a manufacturer’s warranty from 2 years up to 10 years. Bathroom suites supplied and fitted to your specifications. Please call Dave on 07565 737809 for a fast, free estimate and will carry out work straight away if needed enabling you to get back to a normal life as soon as possible.